Ready to trick or treat after a busy and fun Halloween season in Salem. This entry was posted in 2017 Pic a Day on October 31, 2017 by Rebecca. 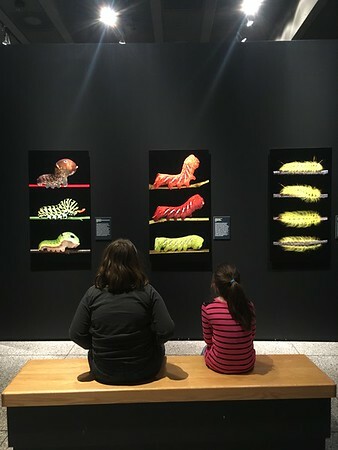 With one day to go before it closes, we got into the Museum of Science to see their Caterpillars exhibit. We weren’t sure if we should expect live caterpillars or not, but we weren’t disappointed in what we saw. Close up portraits of caterpillars on the branches that they eat were displayed around the room. Each one unique and totally interesting. I really love when the MOS finds that perfect mix between art and science and this exhibit hit the sweet spot! Many thanks to the inconsiderate Halloween revelers who have contributed 95c to the Wood Girls activities fund. Every penny helps! All these were collected either on or within two steps from my path home from the shop. 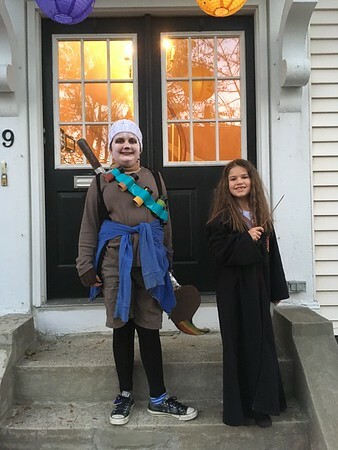 This entry was posted in 2017 Pic a Day on October 29, 2017 by Rebecca. I was hired for my shop keeping abilities, but am happy that I’m now trusted with some menial craftiness duties. It was a beautiful and busy day in Salem! This entry was posted in 2017 Pic a Day on October 28, 2017 by Rebecca. 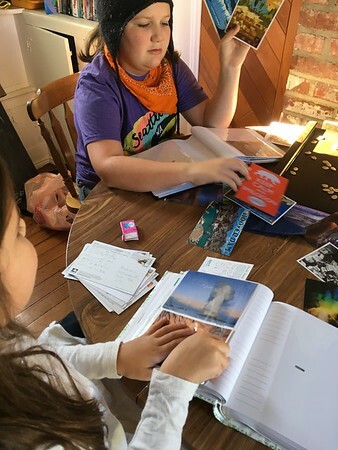 When preparing for our road trip this summer I knew that I wanted to encourage the girls to keep a written record of their experiences. Past attempts at this have left us with mostly empty notebooks sitting on the floor of the back seat of the car. They just weren’t confident in knowing what to write and, I think, facing down an entire empty book was just plain intimidating. I kept thinking about how to make it different and more successful this time. I played with a few ideas but kept coming back to this one: A Postcard Journal. All along our journey the girls selected, purchased and wrote out their own postcards. They drew pictures, wrote down anecdotes of the day and dated and addressed each one. I packed with us a supply of postcard stamps and petty cash for them to use and we kept our eyes open for mailboxes on the route. We stopped at many little post offices and blue boxes in all sorts of interesting places as they mailed their memories home. Not all my ideas are winners, but I was so very pleased with how this one turned out. The limited amount of space on each card meant that the girls didn’t feel overwhelmed with how much they should write. Mailing them home every day or two meant that we didn’t have to keep track of their journals among everything else in the car. And, maybe best of all, we were greeted by a big stack of postcards sitting in the front hall when we arrived home. Today we went out and found albums and sorted the cards into chronological order as we filled the books. As we poured through them we were reminded of so many amazing places. It was a walk down memory lane that they can take time and time again. 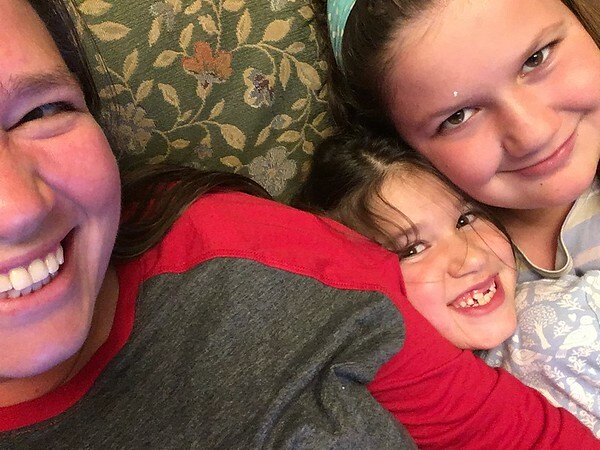 This entry was posted in 2017 Pic a Day on October 27, 2017 by Rebecca. 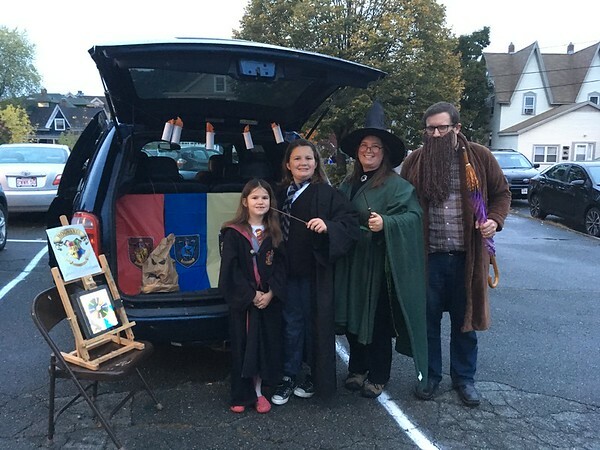 Rocking our finest from Diagon Alley for our church’s Trunk or Treat tonight. Many new Hogwarts students were sorted, and many of their parents partook in the experience for kicks as well! This entry was posted in 2017 Pic a Day on October 26, 2017 by Rebecca. 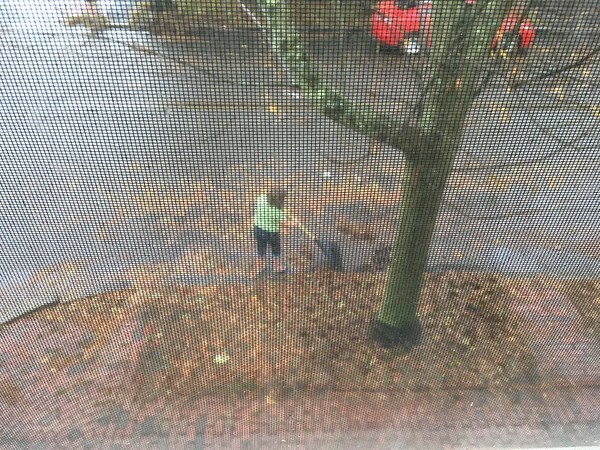 This gal took it upon herself to clear a few storm drains on our street during the rainstorm today. Way to take responsibility for your community, kiddo! 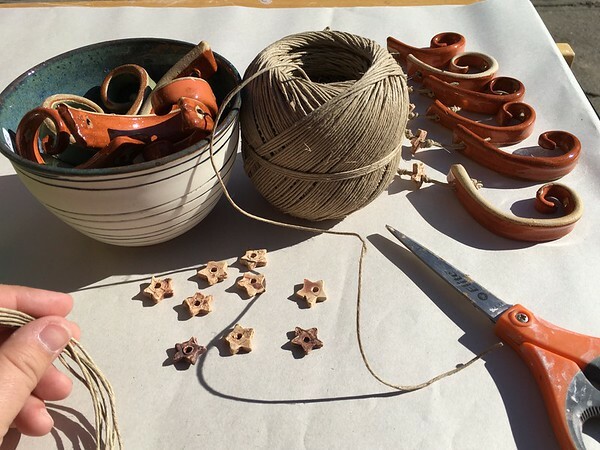 This entry was posted in 2017 Pic a Day on October 25, 2017 by Rebecca. 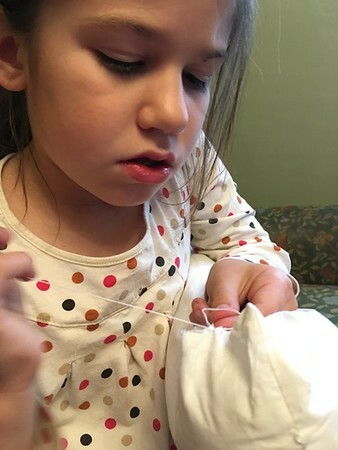 She’s been learning to mend her own things lately. I love her concentration. 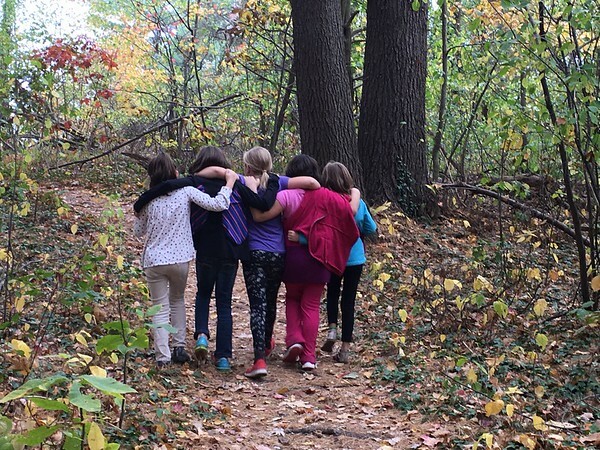 Friends and fresh air are why we love our Monday hikes so much. I’m not sure what was going on with this crew, but I did hear a lot of giggling and singing and chanting, so it must have been something fun. I just love them so much! 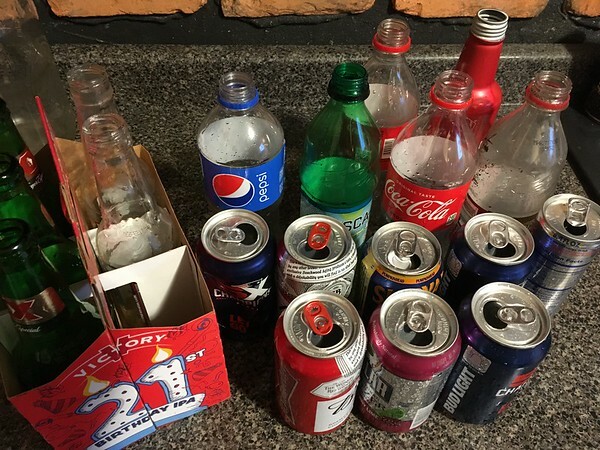 This entry was posted in 2017 Pic a Day on October 23, 2017 by Rebecca.